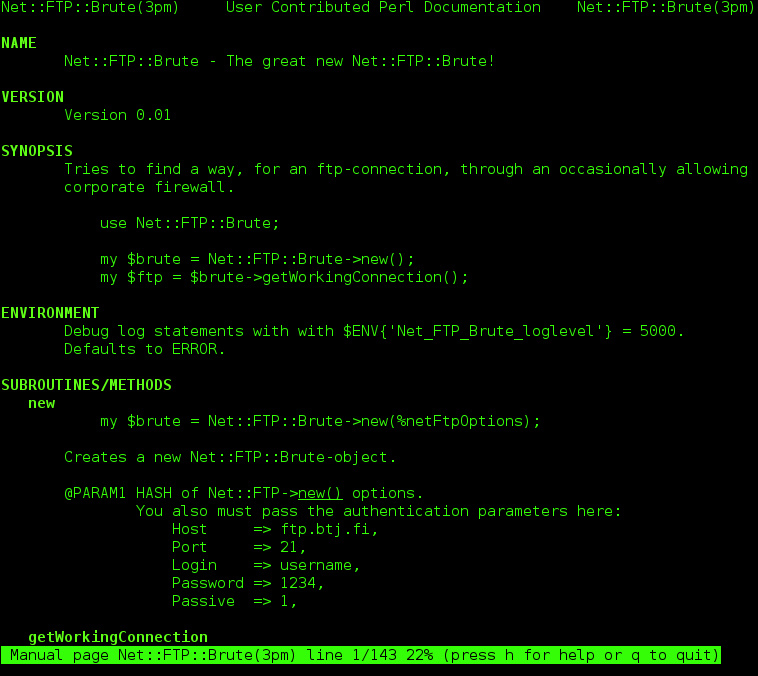 Browse: Home / Net::FTP::Brute – a bruteforce (p)ftp connection handler to bypass strange corporate firewalls. Tries it’s best to establish a connection to a ftp-server. If cannot connect, retries tirelessly for network to come back up. If can connect, but cannot establish a DATA-connection, starts brute forcing with parallel ftp-connections to find an open port. 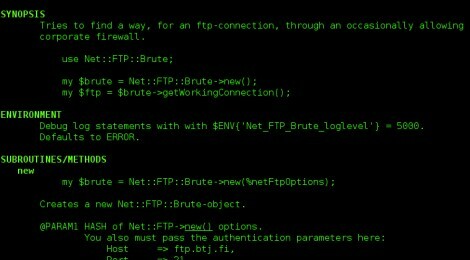 You should use ftp in passive mode for brute-forcing to work best. ← Responder v2.3-git – an LLMNR, NBT-NS and MDNS poisoner.